On my lunch hour I went for a walk round the grounds of my office today looking for birds in the trees on the banks of the River Cart. As I was walking along, I heard a Robin chirping in front of me. 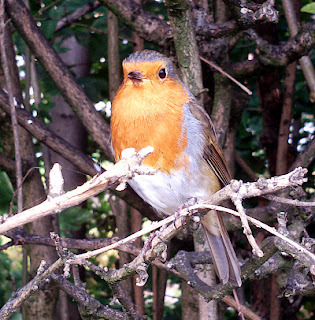 It was a young bird sitting on the branch of a tree looking over at me. 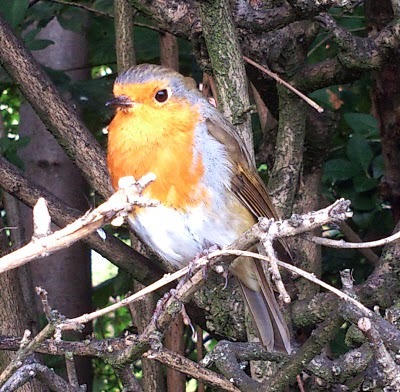 As I walked closer, the bird made no attempt to fly away so I managed to get some photographs of it. 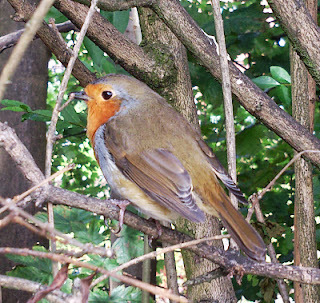 European Robins are found in the most countries in mainland Europe and are easily recognised by most people because of their distinctive red breasts. 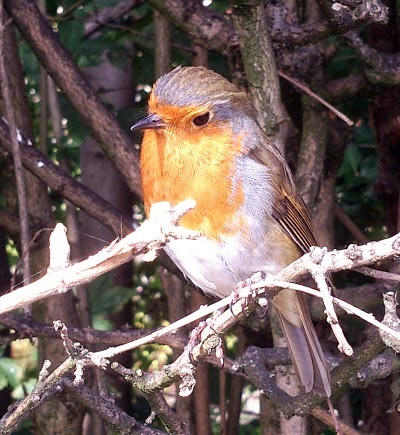 Very soon our summer visitors will depart for warmer parts of Europe and Africa, but the Robin will remain here over the cold winter months.